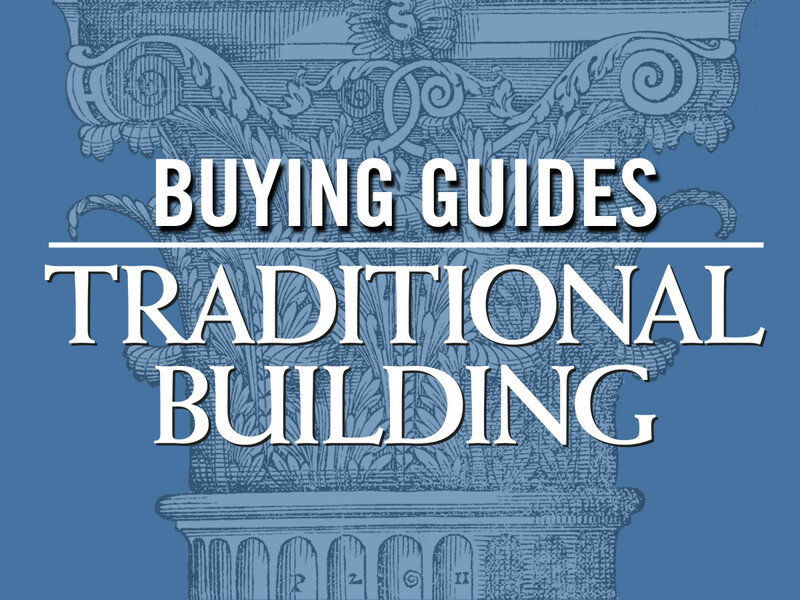 A Buying Guide to companies specializing in New and Salvaged Ornamental Chimney Pots in Terra Cotta, Metal, and Fired Clay for traditionally-styled or historic buildings. 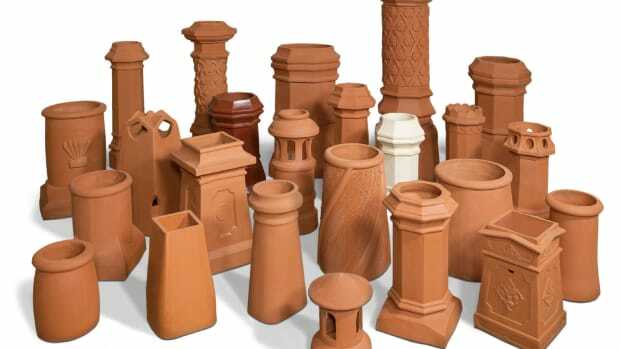 Supplier of hand-molded & -extruded terra-cotta architectural details: chimney pots in traditional styles; clay flue liners; fired-clay Rumford throats, dampers & smoke chambers; refractory mortar. Fabricator of metal roof products: finials, cupolas, dormers, chimney caps, weathervanes & more; copper, zinc & stainless steel; sheet metal tools & classes. Manufacturer of chimney top-mounted fans: guaranteed to solve smoke problems; for use where relining of chimney has decreased flue capacity; for all types of chimneys; mounts on round, square & oval flues. Manufacturer of custom copper chimney pots: patina finish; UL listed & patented; fireplace dampers. Gladding, McBean - Div. of Pacific Coast Bldg. Manufacturer of sculptural ornamentation, machine-extruded terra cotta, roof tile, chimney tops, finials, pavers & vitrified sewer pipes: terra-cotta balustrades, copings, cornices & more; custom-glaze development. Manufacturer of custom copper chimney pots: 3 styles & 7 sizes; patina finish; UL listed; for masonry & pre-engineered fireplace systems. Manufacturer of terra-cotta architectural elements: chimneys, sculptural fountains & garden furnishings/ornament; ceramic tile & clay tile roofing; cupolas, finials & vents; special brick & features; mural painting; flooring; restoration.